Q: How can I trust Timeshare Angels, Inc.? A: We are licensed in California as Real Estate brokers. We are licensed, real estate professionals. We have been working with WorldMark by Wyndham Transfer’s Department and Owner Services since 2004. Q: Will my new ownership purchased through Timeshare Angels be any different than the one offered by Wyndham® (formerly Trendwest®)? A: We only re-sell Premier ownerships. All include Bonus Time, Perpetual Ownership, plus all New Resorts added to WorldMark® in the future. You can also enroll in RCI and II to take advantage of access to over 5,000 resorts worldwide. You will be able to take advantage of any WorldMark Inventory Specials, Out of Network Offers and obtain Owner Education. However, TravelShare is not eligible on the resale market (this includes TravelShare Elite, TravelShare Diamond Elite and TravelShare Platinum Elite). Q: Will I be a "second-class citizen" by virtue of buying from you instead of from Wyndham/WorldMark? A: No. WorldMark, the Club is very classy in this respect. The club's view is that an owner should be able to divest themselves of their ownership without penalty. You will be entitled to the same benefits of ownership the original owner enjoyed, with the exception of the TravelShare program (TravelShare is not eligible on the resale market). Q: Are there any hidden risks involved when purchasing a WorldMark® Ownership that has been previously owned? A: No. Wyndham® is a wonderful company with friendly service. WorldMark's Transfer Department will not complete the transfer unless everything is in order, ensuring the security of both the seller and buyer. Q: How do I know if the seller still owes money to Wyndham Resorts or WorldMark, and if so, will these liens be paid off before closing? A: This information is part of the contract we send to you. If you are a cash buyer, we will pay off any dues, principal, or miscellaneous charges as part of the transfer process. If you are assuming an ownership with an active loan by taking over the payments, our contract will clearly detail your responsibilities including the remaining balance of the loan, your monthly payment amount and the date your responsibility starts. No matter what, the documents issued by WorldMark that are required to transfer the ownership will show all account financial detail. Q: How long does it take to complete the process of buying or selling? A: Processing time varies due to WorldMark's current workload, but can generally take between 5 TO 7 MONTHS to finalize. Generally it takes WorldMark 4 weeks to audit the seller's account and 12 to 15 weeks to issue transfer documents. Once issued, all parties must sign, notarize and return original notarized documents to Timeshare Angels Transfer's Department. The combined documents will then be shipped to WorldMark for processing. All WorldMark processing times are subject to change at any time, and without warning. Q: Can I combine my purchase with my existing WorldMark ownership? WorldMark Policy effective February 2013: Owners may only combine one membership per calendar year regardless of the number of memberships they hold. When the combination has been completed is when WorldMark considers the date. WorldMark Policy effective April 2017: an anti-double award policy change has been implemented regarding which accounts can be combined based on the anniversary dates of the two accounts. Example: if a seller’s account has received its 2018 credits from January, February, March or April and the buyer’s anniversary is May or after, WorldMark will not allow the buyer to proceed with the combination. WorldMark will transfer the seller’s account to the buyer, but kept separate and make the buyer wait until after the buyer's anniversary has passed to issue combination documents. This is really tricky if you, the buyer, have an anniversary towards the end of the year; it limits what accounts you can purchase and combine. If your account has say, a January, February or March anniversary and you are combining after your yearly award, there are no restrictions to combine for the rest of the calendar year. Please feel free to email us or complete a Buyer's Inquiry form to see which accounts would best fit your combination needs. Q: Do you recommend that I combine memberships or keep them separate? A: This is a decision you need to make alone. Combining memberships allows for lower annual dues and simplicity of ownership versus keeping separate accounts. However, keeping separate accounts may save you an occasional housekeeping charge or allow more than one quarterly bonus time weekend (one per account). We have a lot of clients who choose to keep multiple separate accounts for those reasons alone, even though the annual dues may be higher. Combining or keeping separate is really based on your own personal ownership/vacation needs. Q: If my new ownership includes 6,000 credits, can I increase the credit level? A: Yes. You can actually buy an additional ownership and combine the two, thus paying only one maintenance fee which will be less than two single fees. WorldMark will keep your existing owner number and anniversary. Once the transfer goes through the Maintenance Fees will be prorated to fit the maintenance fee tier based on the total amount of Annual Credits you own at the end of the transfer. You can even purchase credits in blocks of 1000 from Wyndham® through their upgrade department. Example, if you own 6000 credits, you can easily jump to 8000 through a purchase of 2000 additional credits. Q: Can the Annual Maintenance Fees (dues) increase? A: Yes; typically every January 1st. You can obtain more information from WorldMark Owner Services at 1-888-648-7363. Please review the chart for current maintenance fee rates. Q: Can I buy one-time use (rental) credits to supplement my account or reservation? 1. Opportunity Club Members will be eligible for a 10% discount on One Time Use Credits. Please contact us to take advantage of these benefits! 2. Effective September 1, 2016, WorldMark implemented the "Assigned Vacation Credit Guideline Change". Q: Can I buy Housekeeping Tokens to supplement my account or reservation? A. No; effective September 1, 2016, housekeeping tokens/services are no longer transferable. NOTE: Effective January 1, 2017, occupancy tax will be assessed on housekeeping charges at several WorldMark resorts. If a reservation is confirmed that requires collection of a cash housekeeping charge, an assessed tax will be added to the housekeeping amount and will be calculated based on a percentage of the housekeeping cost. The percentages range from 8% -17% and will vary by resort. Free housekeeping services will not be subject to this tax. As of January 1, 2017 housekeeping taxes will be collected in full at the time of booking at the impacted resorts. WorldMark does not retain any portion of these taxes. They simply collect these monies on behalf of the local tax authority. The rates are determined by each individual tax authority and are subject to change at any time. For information on rates for a specific resort, please refer to the Tax Information page in the Online Reference Library or contact Wyndham's Owner Services at 1-888-648-7363 for additional information. Q: What is WorldMark by Wyndham (formerly Trendwest®)? A. A WorldMark ownership is like having a vacation home at the lake, the mountains, and the beach at a fraction of the cost of a second home with none of the headaches. Comparable in price to traditional timeshares that only offer one location for one week at a time, a WorldMark ownership gives you more than 60 locations to choose from. WorldMark is a point-based (referred to as Vacation Credits), recurring membership which is renewed in perpetuity and may be willed to one's heirs. You are not given a set period of time to use the Club, but rather may book any available dates in the resort network. You do not own in any given property - instead, you have the right to use all properties within the Club. Each year your credits are renewed and deposited into your account on the first day of your anniversary month - all you need to do is to pay your maintenance fees, book your usage dates, and enjoy! WorldMark may be willed to your heirs - a lifetime of vacations for you to enjoy, and then you may give it to your children, friends, or a charity for them to utilize as well. WorldMark also allows traveling owners with families the extra space and privacy while avoiding the expense, worry, and inconvenience of having to split up the family into two or more hotel rooms. The kitchens eliminate the need to eat every meal out, further saving money and stretching precious vacation dollars. What's more, when you can go on vacation easily (and economically) you'll simply go on vacation more often. It's time that you can use to reduce stress, relax with loved ones, or participate in your favorite activities more often. Q: What is WorldMark by Wyndham resort timeshare ownership? A: Wyndham develops markets and manages WorldMark resort properties worldwide. Wyndham transfers ownership of these resort properties debt-free to WorldMark who ends up owning, operating and maintaining them. The WorldMark by Wyndham ownership program offers more than 75 resorts around the world to owners that purchase credits. The reason Wyndham entered the timeshare market was because it found traditional timeshare ownership to be too restrictive. Q: What's the difference between annual credits and available credits? A: Good question. Annual credits are the credits that make up a WorldMark membership. If you have a 6,000 credit membership, you have 6,000 Annual credits. Available credits, on the other hand, are the credits that are added to your account on your anniversary and then exchanged for your vacation accommodations. If you think of your account as a bank of credits, your available credits are what you have left to spend. Q: What are Available Credits? A: When you purchase a WorldMark Ownership contract from a previous owner, there are often unused credits leftover. You inherit all unused credits or reservations unless otherwise negotiated. Q: When do credits expire? A: Credits are good for two years in a WorldMark membership and then up to 13 months when applied to a reservation. Q: What do I need to know about Bonus Time? 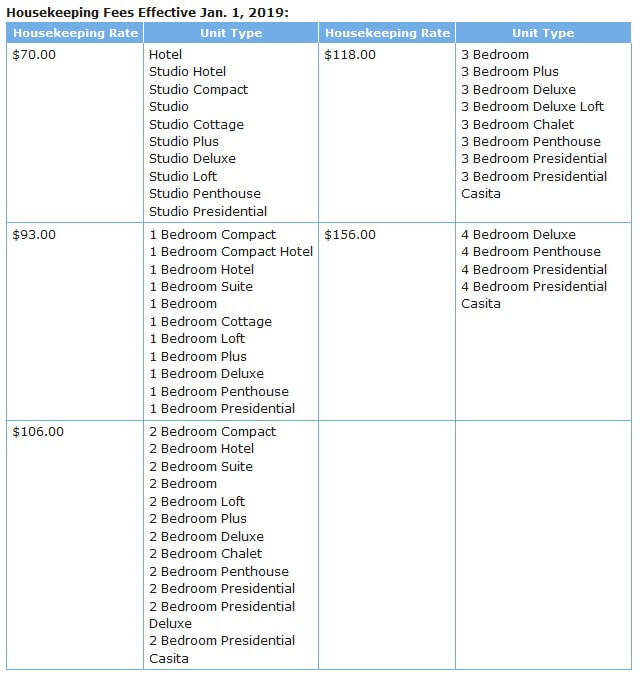 A: Currently the price is $0.063 cents per credit with a minimum fee of $65 per night. You can use 1-4 days per week, 52 weeks per year. You are allowed one weekend per quarter. Bonus Time restrictions may apply, please call WorldMark Reservations at 1-800-457-0103 for information. Q: What is an exchange? Give you access to over 7000 resorts world-wide. Allow you to use fewer points per vacation - doubling (or more) the vacations you are able to take each year. Potential to upgrade into a larger unit, at a nicer resort, for fewer points than a standard WorldMarl condo. Q: What Companies Offer Exchange Services? A: Interval International (II) www.intervalworld.com and Resort Condominiums International (RCI) www.rci.com are the two largest exchange companies. Q: What is TravelShare membership? A. WorldMark's TravelShare is an incidental benefit offered by Wyndham Resorts to owners of WorldMark, the Club. TravelShare is offered only to customers who choose to pay the retail value for those 5000 annual credits and buy directly from Wyndham Resorts. Use of or participation in TravelShare is completely voluntary, and payment of any fee or other cost associated with TravelShare, if any, is required only upon use or participation. The continued availability of TravelShare is not necessary for the use and enjoyment of a WorldMark Owner’s use of any accommodation of WorldMark, the Club. Participation in the TravelShare program is separate from membership in WorldMark, the Club and can be modified or discontinued at any time. Q: What is the Opportunity Club? A. This is a brand new program, designed and created exclusively by Timeshare Angels, Inc. to provide new and exciting benefits to enhance WorldMark Owners’ vacation experiences even further. Our goals have always been to provide our clients with the best service and the best prices available on the resale market. As part of our commitment, we are constantly seeking ways to increase Owners’ choices and complement our existing services. We have attained some of these goals and will continue to grow. We want to provide uncompromising quality in all of these areas so our customers can travel more, save time in planning their vacations and of course, save money every year as they have more fun sharing time and making memories with their families and loved ones. We are now offering the Opportunity Club membership for a onetime fee of $1,995.00! We look forward to introducing you and welcoming you as a Member to our newest product and service. This is our way of thanking you, and these benefits will only be available to our clients. Please read the following steps on how "The Opportunity Club" can work for you. It's been said that "good things usually come in bunches." Well, just watch us grow as we provide more services targeted at enhancing your WorldMark Vacation experiences. We thank you for your support! Click here to read more about the benefits! Q: Will my WorldMark ownership change in any way if I elect not to participate in TravelShare membership? A. No. If a WorldMark owner chooses not to participate in TravelShare, he or she will retain all the rights of ownership of the original WorldMark ownership, as provided in the WorldMark governing documents. Remember, TravelShare is not eligible for accounts sold on the resale market. Q: What if I am a TravelShare member and I want to transfer my WorldMark ownership to someone else? Does my TravelShare membership also transfer? A. No. Unless you are transferring to eligible family members (parents, spouse, domestic partner, siblings, children and grandchildren) who then have the opportunity to become a TravelShare member by enrolling into the program. Q: Will my new Ownership purchased through Timeshare Angels, Inc. be any different than the one offered by Wyndham® (formerly Trendwest®)? A: Yes, TravelShare membership is not available on the resale market (this includes TravelShare Elite, TravelShare Diamond Elite and TravelShare Platinum Elite). However, Timeshare Angels, Inc. only re-sell Premier ownerships. All include Bonus Time, Perpetual Ownership, plus all New Resorts added to WorldMark® in the future. You can also enroll in RCI and II to take advantage of access to over 5,000 resorts worldwide. Q: Are WorldMark timeshare membership dues current at the time of purchase? A: Yes, Wyndham will not transfer a WorldMark timeshare membership unless all dues are current. Same applies if you are purchasing an assumable loan membership. All WorldMark transfer documents will show the account's financial information. Q: Can I purchase additional credits for my current premier membership? A: Yes, you can purchase a second premier membership that can be combined into your existing membership. For example, if you currently own a 6,000 credit membership, you may purchase an 8,000 credit membership and combine it to your existing account creating a single 14,000 credit membership. Some restrictions apply for combining accounts due to recent WorldMark policy changes, so please contact us for more information. Q: Are all the WorldMark club memberships purchased through TimeshareAngels.com "premier"? A: Yes, we only sell PREMIER memberships which include the bonus time reservations and access to RCI or II instant exchange benefits. Q: Can I re-sell a WorldMark timeshare membership purchased through Timeshare Angels, Inc.? A: Yes, all the memberships are perpetual which means they can be transferred, or re-sold forever. Q: Why do you only offer WorldMark timeshares? A: In our opinion, WorldMark the Club offers the best value and best locations for the money. They are extremely friendly, easy to work with and very flexible compared to any other timeshare ownerships on the market. Q: Can we buy bonus time for $.063 per credit with the memberships you sell? A: Yes, although everyone should understand, owners and prospective owners alike, that the $.063 per credit is not an unchangeable price; it may be increased at any time by the WorldMark Board of Directors. Bonus Time is $.063/credit, with a minimum of $65.00 USD for each night reserved. Q: What is a "season" in timeshare? For Interval International the same concept applies, but the colors for the same seasonal demand periods are Red, Yellow and Green. For some resorts, like WorldMark Marina Dunes, WorldMark Anaheim and WorldMark Anaheim Dolphin's Cove the seasons are perpetually Red as the demand for these resorts is always great. Q: Can I exchange with RCI if I purchase from you? A: Yes, but as with all WorldMark memberships, you must also belong to RCI. We now offer the Opportunity Club, to make exchanging your WorldMark credits easy. Membership in the Opportunity Club comes with a membership to RCI, however you can purchase separately by contacting RCI directly. Q: What is the Adventure Club? A: The Adventure Club is an incidental benefit offered by Wyndham Resorts, Inc. to owners of WorldMark, the Club. Participation in the Adventure Club program is separate from membership in WorldMark, the Club and can be modified or discontinued at any time. Please call WorldMark Owner Services for additional information.